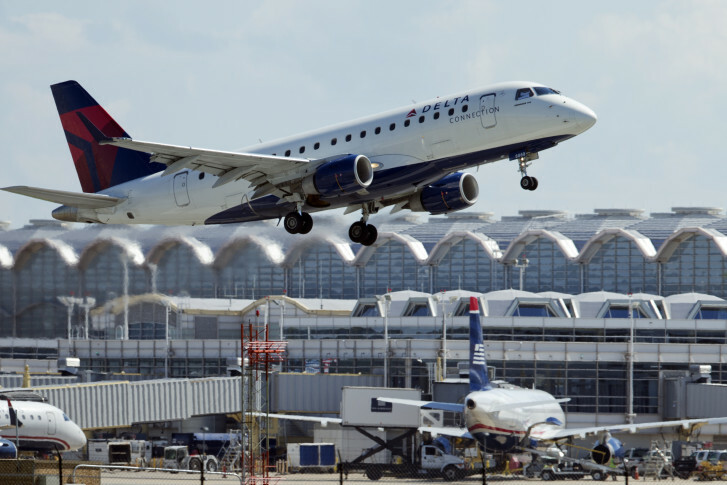 “Unrelenting” noise from jets taking off and landing at Reagan National Airport are prompting a new request from the Fairfax County Board of Supervisors for changes to flight paths at the airport. WASHINGTON — “Unrelenting” noise from jets taking off and landing at Reagan National Airport are prompting a new request from the Fairfax County Board of Supervisors for changes to flight paths at the airport. The board agreed Tuesday to send a letter to the Metropolitan Washington Airports Authority and Federal Aviation Administration asking that flight patterns change back to older paths that saw planes rise higher and move farther south before turning off the airspace above the Potomac River. Supervisor Dan Storck represents the Mt. Vernon District, just south of Reagan National. “The noise is deafening and unrelenting,” he says. “This is not a new issue … it’s one that has resurfaced it’s head,” he adds. He largely blames the FAA’s troubled “NextGen” air traffic control system that was rolled out in the D.C. area in late 2014. The system is designed to improve efficiency using a combination of GPS and other features beyond radar to plot more direct flight paths. “The most efficient solution is not always the best solution, especially since it is one that has such a negative adverse impact on residential communities,” Storck says. The Airports Authority and FAA have met with elected leaders over concerns about noise and other issues on both sides of the Potomac, which Supervisor John Cook says helped paint the picture of the complex challenges. A single D.C. resident filed 6,500 complaints about noise from planes last year. Other people filed 2,170. The airports say they are working to address the noise. Supervisor John Foust says more needs to be done. “This is a huge issue for a lot of people, it’s really a quality-of-life issue, it’s destroying their quality of life,” he says. Foust represents areas closer to Dulles Airport, including Great Falls. Other supervisors, such as Cathy Hudgins, raised questions about where the flights would go if not over the areas where planes are flying now.